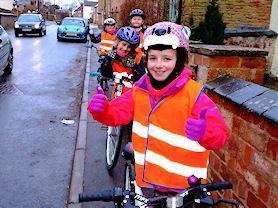 Year 5 spent a couple of days learning all about how to stay safe whilst cycling on the road. They can now confidently signal left and right, know how to check whether their bike and helmet are safe and have gained road safety awareness. The children were presented with their Level 1 and 2 certificates and badges at our Gold Book assembly.